SNAP is meant to be supplemental and not families' sole source of food. Those who do rely on the program find their benefits run out in the second or third week of the month, food bank coordinators said. 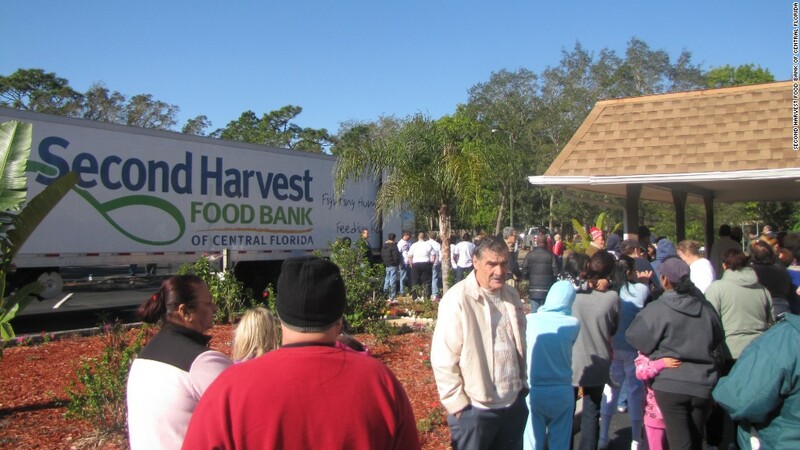 That makes the need especially great at Thanksgiving and food pantries "like to do a little bit more for the families they're serving" this time of year, said Greg Higgerson of the Second Harvest Food Bank of Central Florida. He says the need at his mobile pantries and their affiliates "had kind of stabilized but has really picked back up again" in the past few weeks.